As scary as it can be, it’s good for me to put my work out there sometimes to get reviewed and critiqued by industry professionals. There’s nothing like a group of book and design-lovers giving you honest feedback! 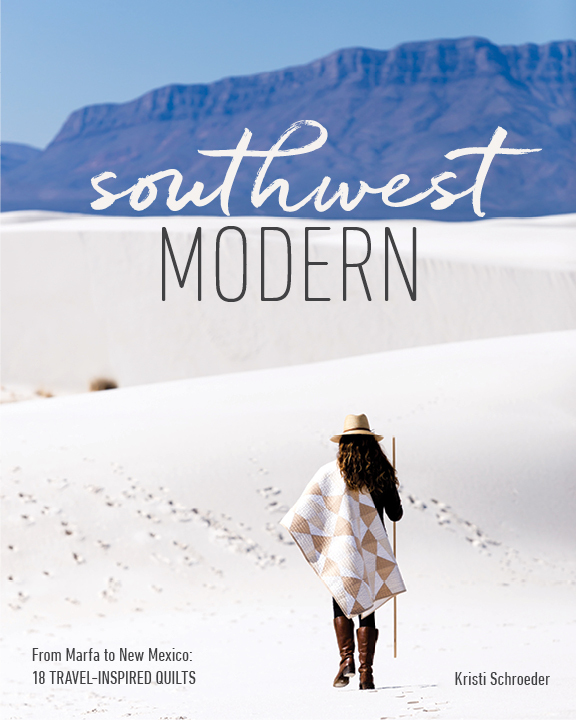 A few months ago, I submitted Southwest Modern written by Kristi Schroeder, published by Lucky Spool, to the Publishing Professionals Network 2018 Book Show. Throughout the entire process of working on that book I felt my design juices flowing. The landscape photography that Kurt Griesbach shot and Kristi’s graphic quilts made for one of my favorite book design projects ever. I was happy the entire time that book was on my screen and I knew if I were going to submit a design that this would be it. I’m thrilled to say that Southwest Modern has been awarded Honorable Mention for Book Design in the How-to + Craft Book category! I know there were a lot of beautifully designed books this year and it’s wonderful to have Page + Pixel’s design included in such great company. Here’s to Fridays and putting ourselves out there. Older PostStyling Fabric Collections + Sewtopia Winners!